KT Tape Pro Wide Black is engineered 100 per cent synthetic in convenient pre-cut strips. 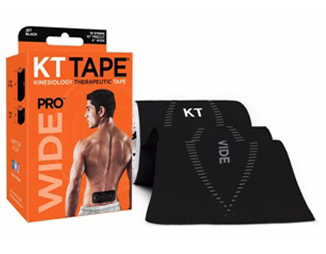 It’s two times wider than normal KT Tape Pro for lower back and other large muscle groups. It is water resistant and has four-seven days of wear.